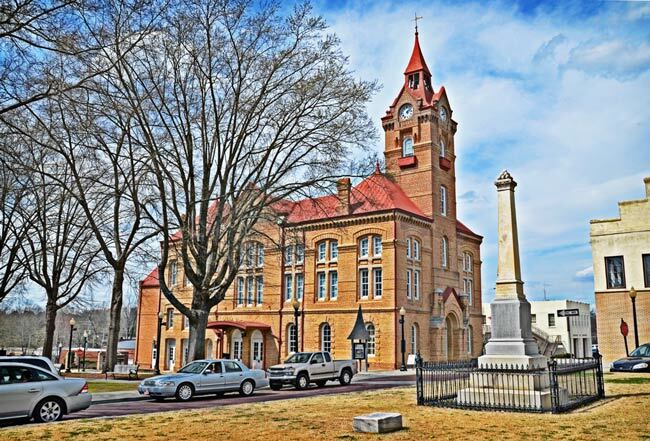 The Newberry Opera House in downtown Newberry was constructed in 1881 out of local brick and granite. Built by Columbia architect C.L. Norman, the design is unusual for that year. The Romanesque Revival-style building exhibits patterns of Philadelphia architect Frank Furness, whose designs were fashionable during Reconstruction. Completed several years after the height of Furness’s popularity, the building is noted for being well-constructed and preserved over several decades. The opera house hosted a variety of shows – not just opera – and remained a venue for live entertainment until the arrival of movie theaters. Adapting to the changing times, the opera house became a movie theater itself from the 1920s until 1952. Following the closing of the building’s movie theater, the opera house narrowly escaped demolition. 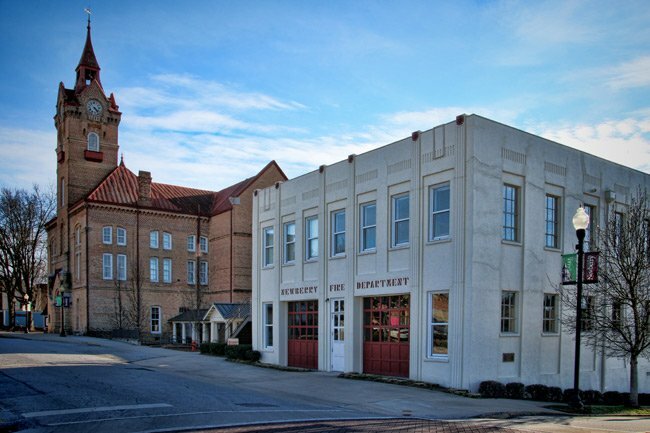 With the efforts of local preservation groups, the building remained and underwent an exterior renovation in 1994 and an interior renovation in 1996. 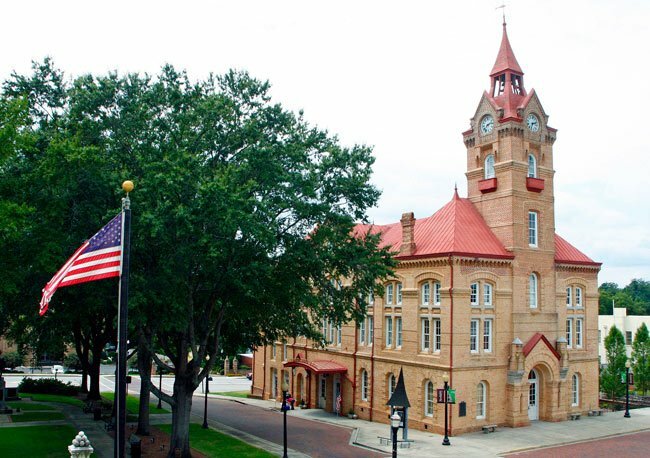 Today the Newberry Opera House continues to invite people to its stage for live theater and national-acclaimed musical acts. The opera house can seat up to 426 people and has state-of-the-art lighting and sound systems. Located on a lot where John Leavell, among others, operated a tavern in the town’s earlier years, the ca. 1881 Newberry Opera House became a popular cultural center from the time of its dedication in 1882. Presented at the opera house were stage dramas, operas and operettas, minstrel shows, musical comedies and similar attractions which toured the country and were major features of the town’s cultural and social life. With the advent of movies, and the building of larger auditoriums in the city, the Opera House was used exclusively as a movie theater. 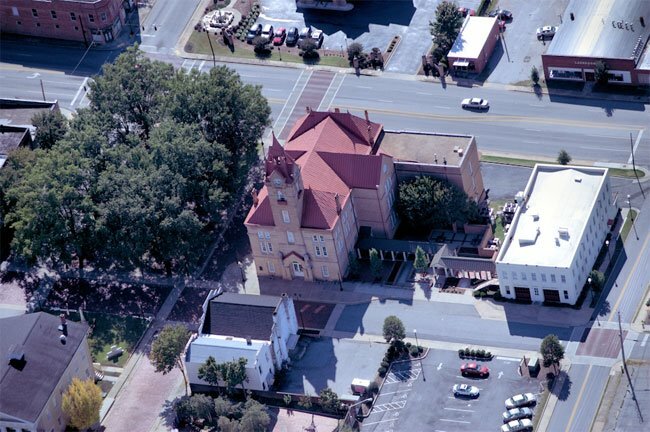 The Newberry Opera House building is Romanesque Revival in design, with a tall steeple and a wide gable on the front side. 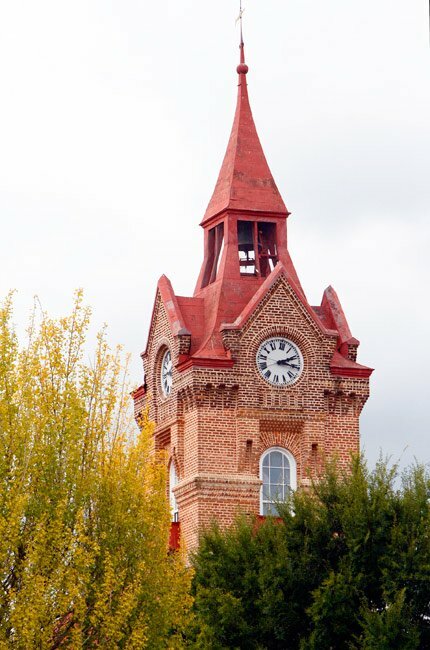 Its bricks were handmade in Newberry. The parcade is sloping. The balcony is wide and also sloping. The building was, “in all likelihood, designed out of a pattern book, and shows the influence of Philadelphia architect Frank Furness.” Located on Newberry’s central square, the old building was the hub of cultural and civic activities for many years.